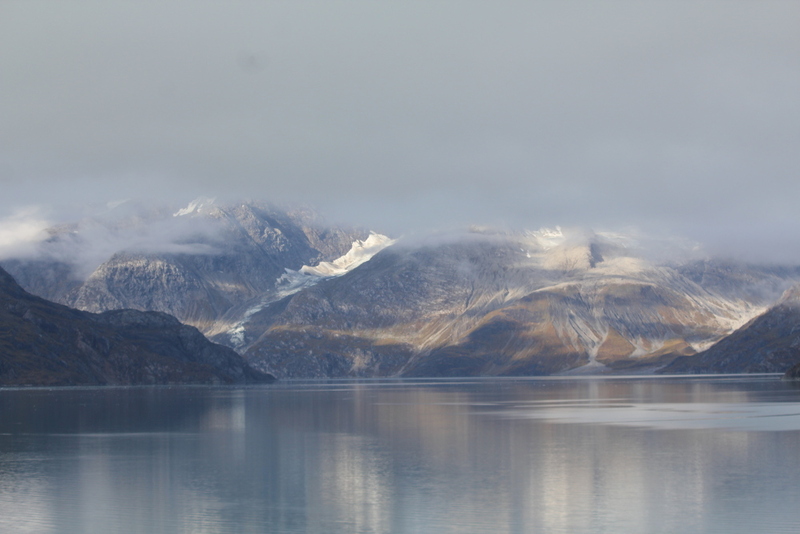 Often the highlight of any Alaska cruise, a visit to Glacier Bay National Park shows the best of Alaska. 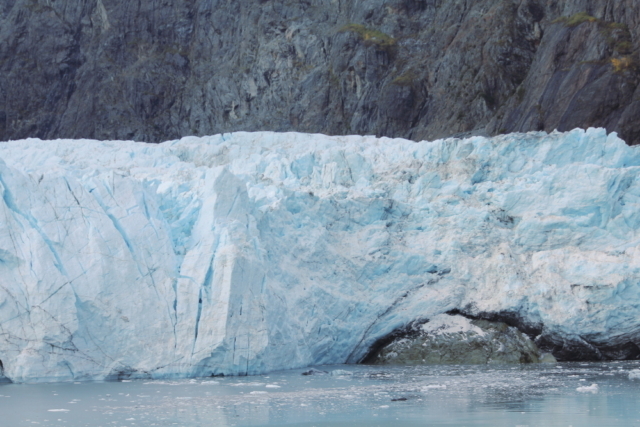 Cruisers get very close to calving glaciers and within view of all sorts of wildlife. The 3.3 million acres of this park showcase Alaska nature at its finest. 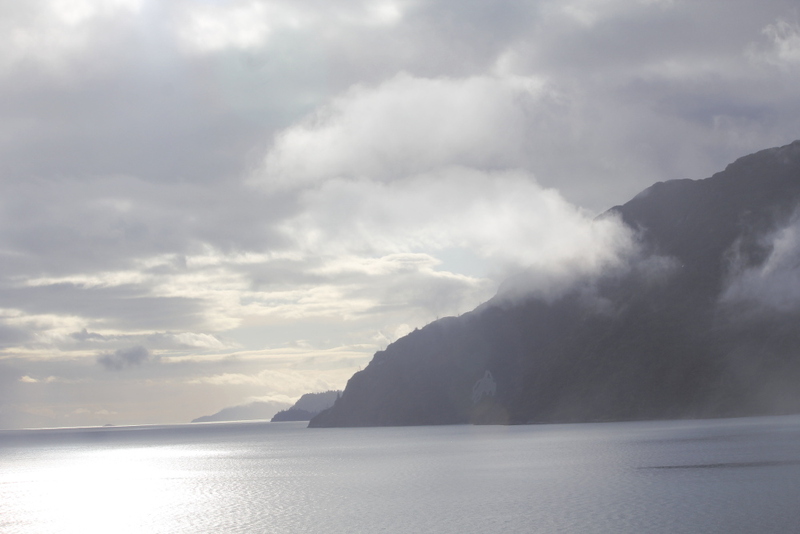 Fjords, mountains, rainforests, wildlife and glaciers make the scenery a picture perfect addition to any cruise. All on deck for glacier viewing. A limited number of permits for entry into Glacier Bay National Park prevents overcrowding on the waters. Holland America and Princess Cruise Lines’ historical presence in the area grant them first dibs in scheduling. The other cruise lines permitted to sail in the park include: Norwegian, Carnival and Crystal. 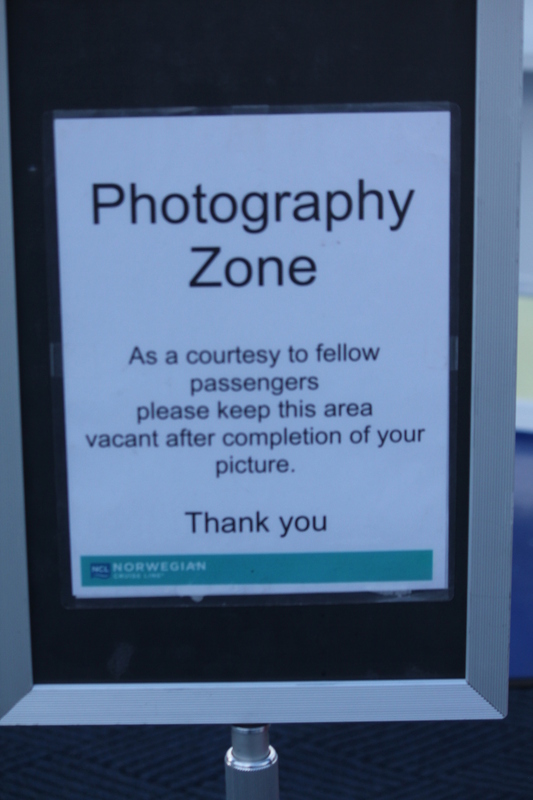 So, what this means is to check your potential Alaska cruise itinerary carefully as every ship does not sail in Glacier Bay. Do note that even if your ship doesn’t sail in the park that you will see plenty of scenery, wildlife and glaciers. The captain takes the safety and security of his passengers seriously and makes the final decision when sailing in the park, as he does wherever the ship is cruising. 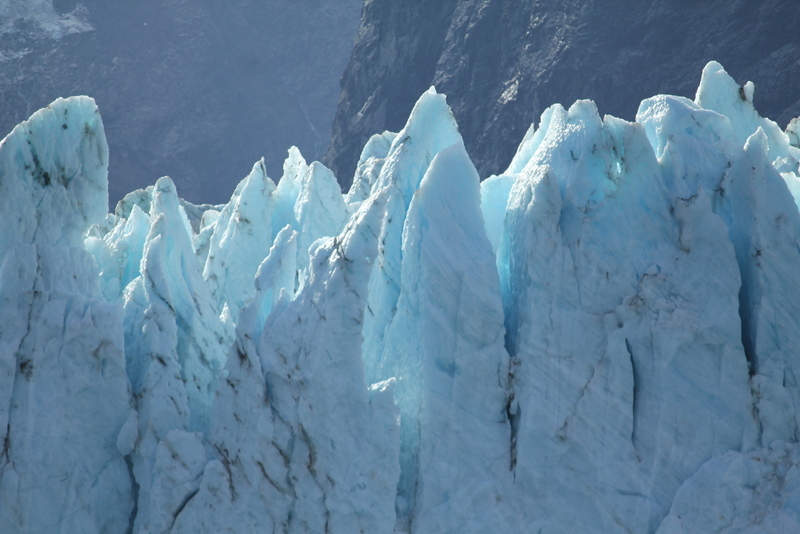 Sometimes a certain area, especially in the early or late season may have too much ice to safely travel to the glaciers. 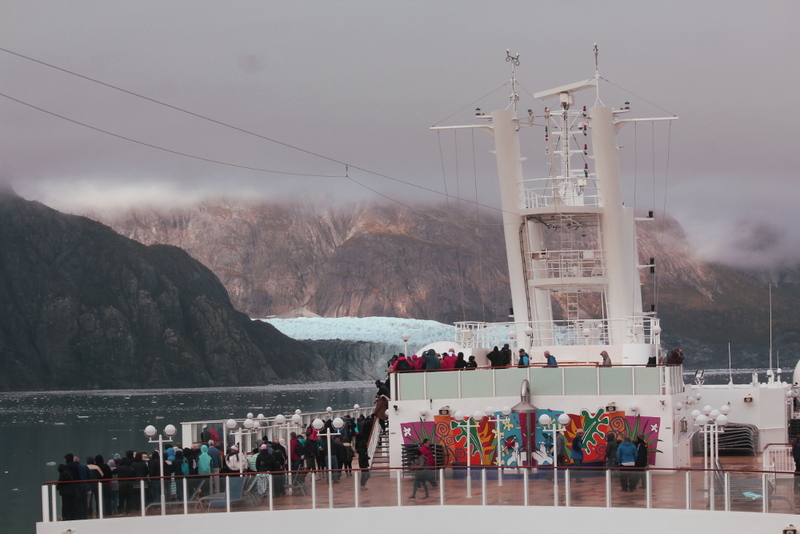 Fortunately, although we did have to change our itinerary due to ice, the captain adeptly took us so close to calving glaciers that I couldn’t stand still for a minute. As luck would have it, a family who had booked the Garden Villa invited us up to their suite for the glacier viewings. How lucky was that? The view was great from there and not crowded. 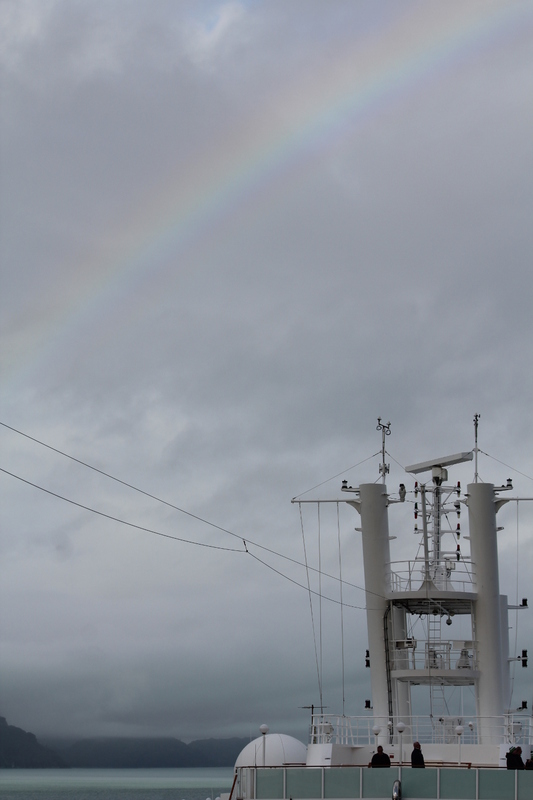 But, I still had to go to several different spots on the ship, including the bow, which was open specifically for glacier viewing. Often people crowd to the front and stand firm at their spots not allowing anybody to get a quick photo. 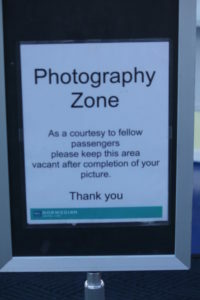 I really appreciated that there was a photo area cordoned off so that anybody could step into this specific area, get a shot and let the next person have a place for shooting. A real benefit of sailing through the park is that a ranger comes on board and narrates while the ship sails through the park. In addition to narration, the rangers are available to answer questions. 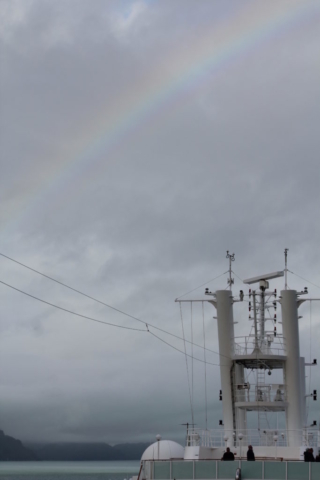 On this particular sailing, they also had a ranger dedicated to the kids. She had specific activities planned for them. The morning weather was foggy and drizzly, no shock for SE Alaska, but the sun eventually appeared and warmed the day making for great photo ops. 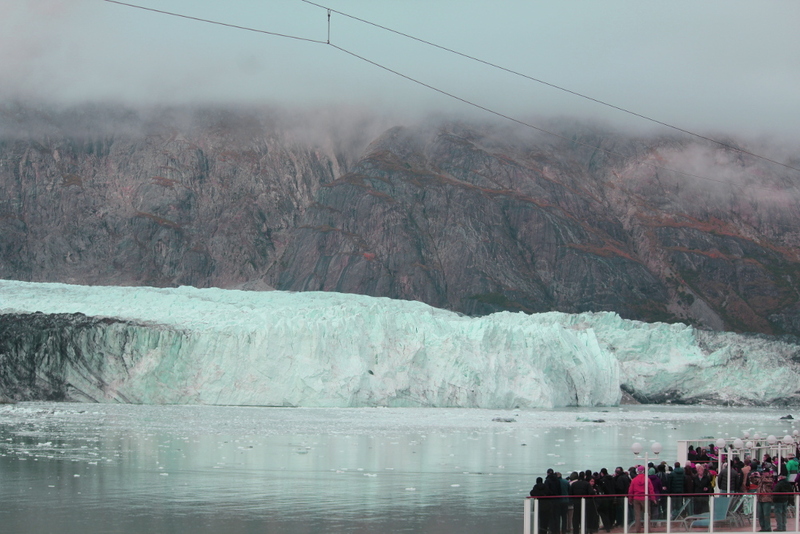 Our captain spun the ship around so that guests on both the starboard and port side had a view of the glaciers.